Austin, Texas, August 8, 2018 – The National Institute for Staff and Organizational Development (NISOD) announced it will host a Regional Workshop, scheduled for March 29, 2019, at Macomb Community College in Warren, Michigan. NISOD’s Regional Workshops bring professional learning closer to faculty, administrators, and staff through intensive one-day gatherings held in strategic locations throughout the country. These localized options help bring some of NISOD’s outstanding resources closer to colleges to save them time and money. The workshop, titled “Teaching Critical Thinking,” focuses on how participants can create lesson plans that enhance critical-thinking skills across disciplines. Participants also learn how these skills can be easily and accurately measured. Dr. John Eigenauer, the workshop facilitator, pioneered argument mapping as a means of teaching critical reasoning and has authored several publications about the dispositions of teaching critical thinking. 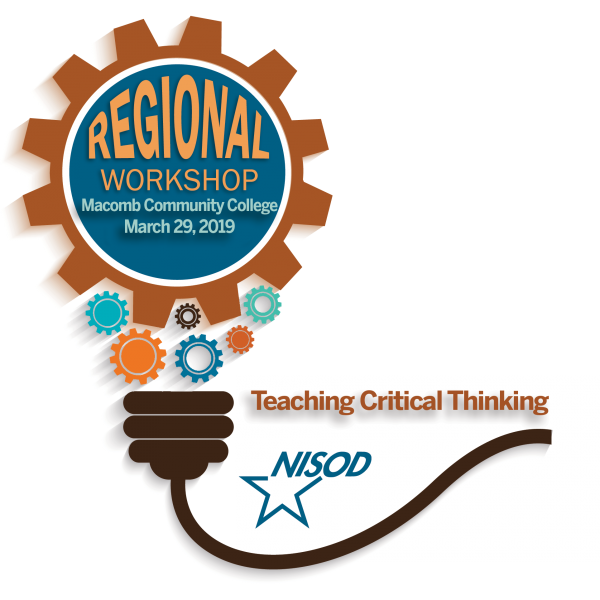 Visit www.nisod.org/workshops/macomb for more information, including registration fees, lodging options, and a schedule of the day’s events. The National Institute for Staff and Organizational Development (NISOD) is a membership organization committed to promoting and celebrating excellence in teaching, learning, and leadership at community and technical colleges. For community and technical colleges that want to make the most of their professional development dollars, NISOD provides budget-friendly, high-quality, and faculty-focused programs and resources. For 40 years, NISOD’s customer-focused approach has helped align our wide array of benefits with the needs of our members, which explains why the American Association of Community Colleges named NISOD, “The country’s leading provider of professional development for community college faculty, staff, and administrators.” For more information about NISOD, visit www.nisod.org. Contact Edward J. Leach at ed@nisod.org if you would like more information about NISOD’s Regional Workshops, including how your college can serve as a co-host.